The 1978 Constitution, as amended to date, is not clear about the appointment of a Delimitation Commission (DC) or to specify a mandate for such a commission, DC annual performance report for the year 2016 has revealed. 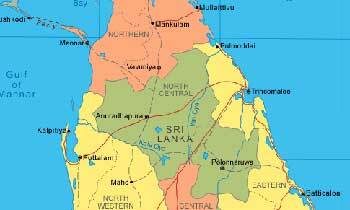 The report said the constitutions of Sri Lanka up to the first Republican Constitution of 1972 provided a clear mandate and rationale for DCs based on population and land characteristics. “The delimitation for local government electoral boundaries comes under the purview of a different National Delimitation Committee under a separate piece of legislation, leading to some confusion on responsibility for the subject of Delimitation, rationales and mandates. Therefore, it is important that there be a set of principles and a framework that would help the Government to re-establish a rational basis for delimitation that is linked to population patterns, land and other relevant characteristics of electoral districts in the future. In doing so, it would be sensible to set up such principles and framework for establishing electoral boundaries at all levels, whether at national, provincial or local government,” the report said. “At the same time, it is observed that, in Sri Lanka there has been no priority given to synchronise, nor ensure consistency among geographical boundaries for electoral (National, Provincial, Local Government), administrative (District, Divisional Secretariat, GN Divisions) and service delivery (health, education, security, etc.) purposes. This has led to sub-optimum resource allocation as well as inefficiencies in co-ordination among electoral representation, administration and service delivery within the country. The present context provides a timely opportunity to address such lacunas in the national system,” it added.